Aquaponics is a food production system that combines conventional aquaculture (raising aquatic animals such as snails, fish, crayfish or prawns in tanks) with hydroponics (cultivating plants in water) in a symbiotic environment. In normal aquaculture, excretions from the animals being raised can accumulate in the water, increasing toxicity. In an aquaponic system, water from an aquaculture system is fed to a hydroponic system where the by-products are broken down by nitrogen-fixing bacteria into nitrates and nitrites, which are utilized by the plants as nutrients. The water is then recirculated back to the aquaculture system. This Fair Companies interview is fantastic. 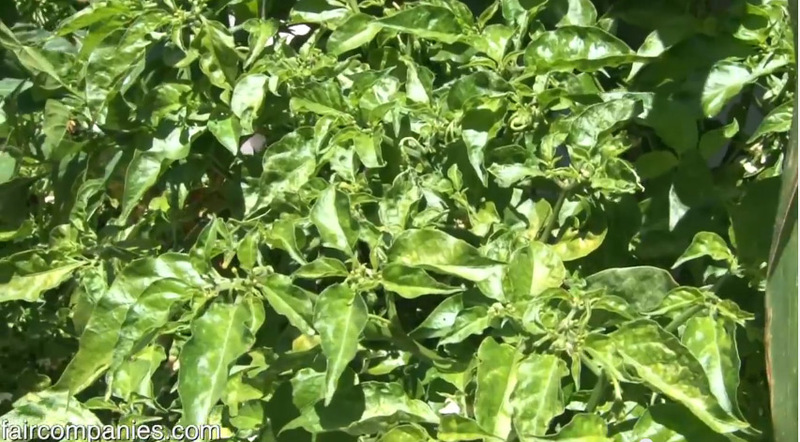 They visit Rik Kretzinger and get a great tour of his revolutionary garden design. 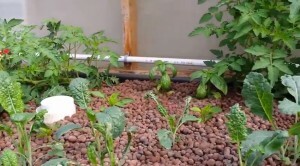 He has managed to create an inexpensive, highly efficient and configurable aquaponics system that is controlled by an Arduino . This large scale Aquaponic system is designed from the A-Frame Deep Water Culture Column (ADWCC) Prototype designed by Nelson Mmbando, 256 square feet foot print capable of producing approximately 400 heads of lettuce every two weeks. This system also incorporates vermiculture to break down food waste and introduces the nutrients back into the system. Nelson utilizes the concepts he fine tuned during his thesis project and is a great example of a well thought out aquaponics system the expands the standard model into vermiculture. The black soldier fly is a widespread fly whose larvae are commonly found in compost heaps. Larvae are also sometimes found in carrion. This is fascinating as they are able to break down animal matter where other composting techniques fail. When the larvae have completed their larval development, they enter a stage called “prepupae” wherein they cease to eat, they empty their gut, their mouth parts change to an appendage that aids climbing, and they seek a dry, sheltered area to pupate. This migration instinct is utilized by grub composting bins to self-harvest the mature larvae. These containers have ramps or holes on the sides to allow the prepupae to climb out of the composter and drop into a collection area. Black soldier fly larvae (BSFL) may be used in manure management, for house fly control and for the bioconversion of organic waste material. Mature larvae and prepupae raised in manure management and waste bioconversion operations may also be used to supplement animal feeds. The larvae are highly efficient in converting proteins, containing up to 42% of protein, and a lot of calcium and aminoacids. In 432 hours, 1 gram of black soldier fly eggs turns into 2.4 kilograms of protein. 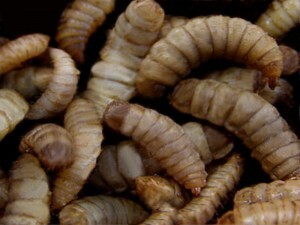 Larvae are sold as feeders for owners of chickens, herptiles and tropical fish, or as composting grubs. They store high levels of calcium for future pupation which is also beneficial. 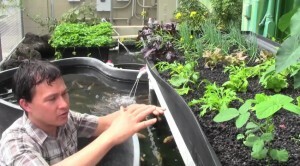 This video is a great introduction to Aquaponics by John Kohler of Growing your Greens. This walk though covers fish, plants and the technology behind a successful aquaponics system. A place to share sustainable living ideas.